BRUSH PRAIRIE — He was a wide receiver and now he’s a wide receiver again. He became all-league, though, as a tight end, for his willingness to adapt to change, by helping the team in any way that he could. 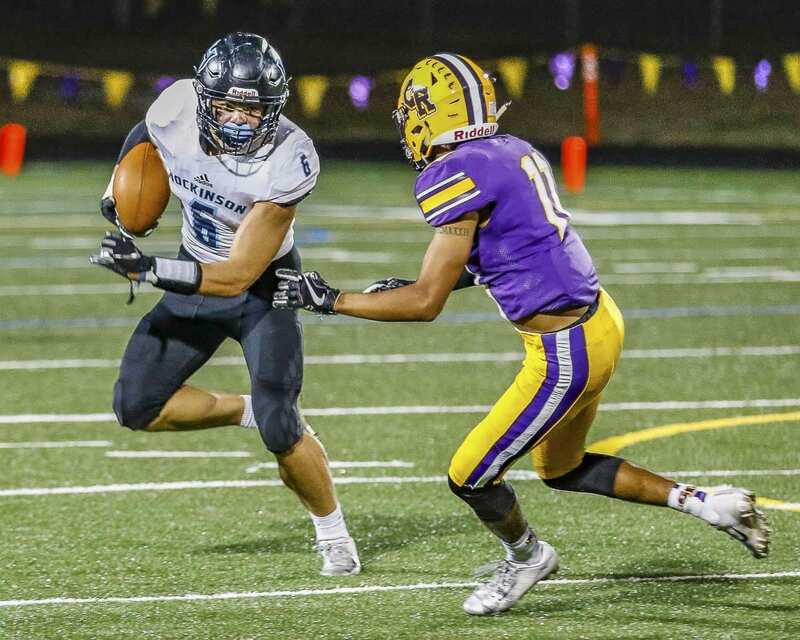 Nick Frichtl, a senior from Hockinson, has had himself a memorable final year of high school football. Not just because the Hawks have won every game. Not just because the Hawks are back in the Class 2A state football championship game. Frichtl excelled in a new position because his coaches needed him, because his teammates needed him. A case could be made there was no choice here. Frichtl is too good of an athlete to be a back-up. Hockinson coach Rick Steele said Frichtl would have been a starting wide receiver on any other team in the league. “It’s just his bad luck to be behind Sawyer and Peyton (Brammer). That’s why we moved him to tight end so we could get him on the field,” Steele said. Plus, he had some experience with blocking. In seventh grade, he was a guard on his youth football team, the fastest lineman on the team, he said. “I knew I could block. I just had to get more used to it,” Frichtl said. Plus, he had to learn the routes from this new position. He became a starter on an offense that has averaged 44 points per game and on a team that has now won 26 consecutive games dating back to the 2017 championship season. He was voted first team, all-league as a tight end. Oh, and he has played superb on defense from his linebacker position. Last week, he returned to wide receiver after Brammer broke his foot in the quarterfinals. Frichtl caught three passes for 75 yards and a touchdown in a 27-24 victory in the semifinals. Liberty led 24-7 at one point in that game. The Hawks, not accustomed to trailing, never panicked. “We still have the drive in us to win,” he said. Defensively, Frichtl made two huge plays on Liberty’s last drive. “I just wanted to get him down, get the ball back to the offense, and go play in the nice, warm dome next week,” Frichtl said. Hockinson will take on Lynden for the Class 2A WIAA state championship. Kickoff is 1 p.m. in the Tacoma Dome. Steele could not say enough about Frichtl. Not just because of his performance Saturday, but for the entire year, for changing positions, and doing everything his coaches asked of him. Frichtl’s ability to adapt is another leadership quality, too. He acknowledged he is more of a lead-by-example guy. And while this team’s bigger-name players are juniors, it is the seniors who set the tone for a season. Frichtl did this right away, too. He was asked to move to tight end the day before a big summer 7-on-7 competition at the University of Washington. He took a crash course. He has practiced the same way ever since. “Go hard, and have other people follow you,” he said of his leadership mentality. His only regret is the season is going too fast. Last year, he said, it seemed to him that the practices and the weeks became tedious. 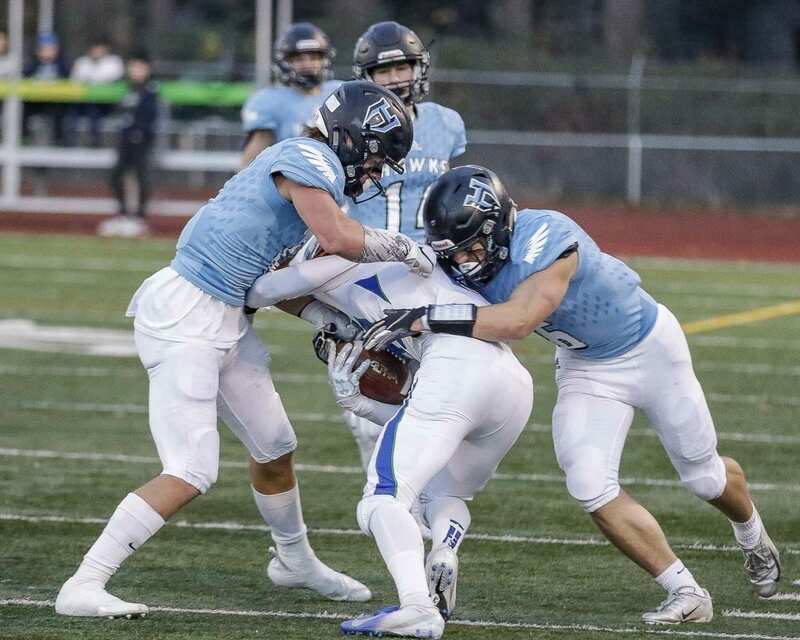 Frichtl made changes to his own game in order to help Hockinson make it back to the Tacoma Dome. His coaches and his teammates appreciate that commitment.